According to many sources we as a species are transitioning to 4th and 5th dimensional consciousness. In these dimensions time doesn’t exists as it does right now. We currently only perceive partial time, therefore alluding to our senses and understandings the illusion of past and future.. According to Bashar there only exists the eternal NOW. There is no such thing as time and motion as we understand it. According to him each time we move we’re actually shifting from one reality to another that is so similar to our own that it gives us the illusion of motion. Each one of these shifts are a different perspective of the eternal NOW. All events, motions and objects exists in this NOW. Essentially if you want quicker change in your life, your consciousness needs to be of a higher frequency. The key is creating more differences through your individual point of view of the Eternal NOW. Each frame is part of the eternal moment, but how it appears different is based upon the point of view of our individual consciousness. A higher frequency consciousness is able to see more differences from one moment to another, thus they can manifest change much quicker. Essentially though there is only one moment that is all moments that ever existed, it’s our vantage point in the eternal moment gives us the illusion of ‘different’ moments. Kind of like a prism, if one where to shine a light through it and depending on the point of view you could see a different variety of colors. We’re all pretty familiar with the first three dimensions — after all, we experience those dimensions daily as we move about our world. But scientists and mathematicians have long gone three dimensions using thought experiments, conceptualizing a fourth dimension — and of course, to many more dimensions beyond. 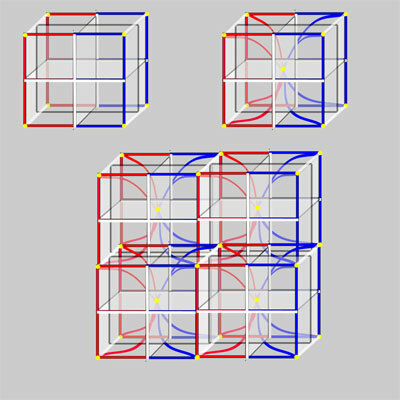 You may have heard of the fourth dimension via Madeleine L’Engle’s A Wrinkle in Time, which mentioned the tesseract, a four-dimensional “hypercube.” In L’Engle’s work, the tesseract had properties that could bend space-time, though a real tesseract would simply be an object in four-dimensional space. Anyway, let’s not get carried away with tesseracts just yet. I stumbled across a wonderful video of Carl Sagan explaining the fourth dimension in a way that anyone can understand. He explains dimensionality as a notion, expanding from a two-dimensional “flatland” to our three-dimensional world, and onward to the fourth dimension. I have to admit I’m not too sure whether or not he’s being sincere with his statements. Many people can interpret this as being a good sign, since it makes it seem he wants us in the EU. I don’t know what to think of his statements. The Rothschild have never had to answer to anyone and they will lie, kill, cheat and deceive to get their way. They’ve never had to comply with any set of rules and so that makes them unpredictable, but easy to understand. I for one believe the Brexit is a positive develop, but whenever a Rothschild speaks I have to be weary considering the fact they lie, lie and lie. I had a dream that confirmed this, I went in a black SUV with Jacob Rothschild, we were discussing some kind of terms and conditions(what for I don’t remember), but I do remember when I got out of the car I told the other person that we can’t trust anything from him. Benjamin Fulford came out that same day with his update and he mentioned the same thing, that they cannot be trusted and they’ll lie to get their way because they’ve never had to answer to anyone. We cannot trust these people and that’s what I’m going to take out of this. I very weary of these comments, but only time will reveal what the Truth is. Jacob Rothschild has said leaving the EU could lead to a “damaging and disorderly situation” in the UK as he urged Britons to vote ‘remain’. 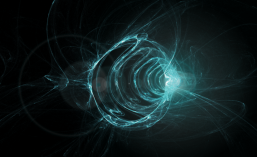 (Stillness in the Storm Editor) FYI – I will be “going phishing” (going to a Phish concert) over the 4th of July weekend and won’t be available to do Gaia Portal interpretations till I get back on Tuesday the 5th. 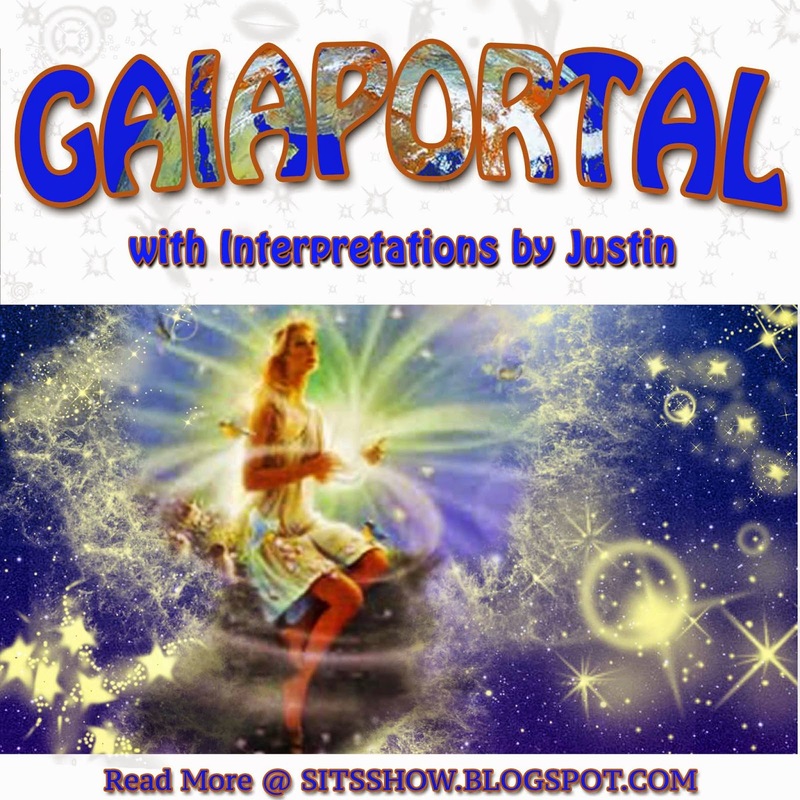 Any Gaia Portal updates that are published between now and then will not be interpreted. The raw Gaia Portal update is first, followed by my extrapolated meanings in black. For other interpretations of these reports see Rosalie Parker. Interpretations: “Clandestine radiance is now recognized by hu-manity.” – The term clandestine refers to the act of keeping something secret or done in a secretive way. The current use of government spying on the people would be considered clandestine. The term radiance refers to light being emitted or reflected by something. Normally the term clandestine refers to things that are not benevolent or beneficial but, in this case, it appears to be referring to something positive. In this sense, clandestine radiance is that inner light of a divine nature, light without heat that is mental and spiritual. Consider that the father and mother of lights is the creator, the source of all things. Light is often symbolic of the truth, wisdom, perfect harmony or attainment. And in a very real way, everything we are, was, or will be is a part of the creator, an emanation of the first cause of causes. Therefore, clandestine radiance could be a reference to this light of the creator that shines through each embodiment and can only be seen when expressed by the individual. In other words, the individual, via their free will, shines or radiates their inner light to the world. If they choose not to radiate this light (a selfish act) then that unique light entrusted to them by the creator cannot touch others, and in the process uplift them. In this way, when we live out our life purpose, we pour our light out into the world, which inspires others to do the same. And this also provides a basis to understand why evolution at a grand level is all inclusive; meaning, eventually, the progress of one is dependent on the all. This is because each individual is a unique expression of the all and plays an essential part in the plans of creation, specifically, in the evolution of all other individuals. Hence, the many spiritual and channeled works which proffer the idea that Earth’s evolution is vitally important to the rest of creation. Consider that if everyone tried to hold their light inside, in a selfish way, everyone would be enshrouded by darkness. But if everyone shined their light out for all to see, if everyone gave of themselves fully, all beings everywhere would be bathed in light. The fact that this dynamic exists within the universe underscores that the creation and the creatures in it are meant to work together in loving service. The universe is pre-programmed for abundance, unselfish love and constant giving and receiving. But the moment when an individual chooses to consume more than they give, they become a vacuum for others energies. Given that the fundamental reality of the universe is oneness, when an individual seeks to separate themselves from the all, they plunge down into realms of materialistic consciousness or separation. Selfishness equals death. Within Christianity, to be separate from god means to be in hell, and given that separation consciousness is the foundation for all suffering, this is an astute conclusion to draw. Hu-manity as defined within Gaia Portal updates, could be considered this latter population. When individuals act selfishly, either by ignoring the truth, harm others, or seeking to stagnate in their spiritual progress, they can be rightly called hu-man. The prefix hu is most likely a reference to light. If clandestine radiance is now recognized by hu-manity then it suggests that not only the inner light of others is seen by these lost souls, but also their own inner light. Hu-mans are those individuals who are on the path of falseness or create more chaos than harmony with their actions. These individuals require healing and the restoration of universal consciousness, from whence they came. But in the absence of this consciousness, they through their choices create a consciousness and an identity of separation from all things, most especially the creator. Consider that living a life without being conscious of the spiritual nature of all things (atheism) usually causes one to feel that there is no meaning to life. As such, these individuals tend to have shallow and fruitless ideologies which given a long enough course of time, become selfish and narcissistic—although in a hidden or clandestine way. But once one finally sets aside their shallow and false concepts of the universe, one based on separation, the truth can fill the void. And this truth of one’s connectedness to all things, the truth that we are children of the divine and forever in union with the source in an endless adventure of spiritual progress and living purpose, overshadows the consciousness of separation that once seemed so certain. And yet, the path of truth is not a passive one. Merely stopping the process of feeding separation is not enough. We must proactively step forward up the mountain, towards, truth, kindness, unselfish love, and wisdom. “Feather principals are connected in purpose.” – One of the boons or benefits gained by seeking the truth is an ever increasing sense of purpose in one’s life. The phrase feather principals most likely refer to those beings who are high in authority or close to the position of original custodianship. The term principal is a reference to someone of authority, usually entrusted with a responsibility of something by a voluntary act. The term feather refers to the appendages used by winged animals to take flight in the air. Merging the two together the aforementioned meaning takes form, those beings who by nature of their desire to serve are principals. In this sense, the statement is a reference to actual beings, which are connected in purpose. If we consider the first phrase in the statement referring to clandestine radiance, then this passage seems to be suggesting that those beings of a high order who are acting as grounding mechanisms or lighthouses for others are working in harmony. If the goal of creation is to help each individual become the brightest light they can, then this overarching goal would be a major factor in higher order beings. Angels in this sense are those individuals who have chosen—through an act of will—to become living expressions of the creator and its divine purpose. And anytime the creature merges its will with the will of the creator, a great alignment of energies takes place wherein all of the hidden or clandestine attributes locked away in the creature begin to manifest. Purpose, in this sense, is the ultimate activator of consciousness, the thing which motivates the individual from within, while also merging them with the all. “Forestations of Light unveil and display.” – The term forestation refers to a great number of trees and related flora that cover an area of land, usually via a natural process of catalyzation. For example, the land that has been forested spent ages of time slowly transforming compounds in the ground into living soil. Often microorganisms such as mycelia are involved in making inorganic minerals and material bioavailable. Only after many years of slow progress are conditions right for forestation to take place. Here, the forestations are of Light which indicates that this statement is most likely referring to metaphysical things. 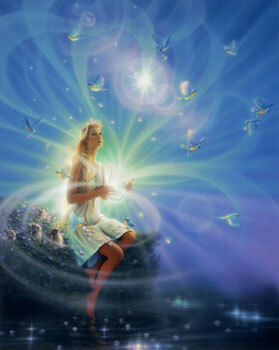 Light is often symbolic of true knowledge or wisdom, spiritual accomplishments or attainment. For example, when you consider humility as a way of being, this may only be intellectual at first. But in the process of acting humble, we receive insight into the effects of humility, we see the fruit of being humble—which help others to feel vulnerable and to share their insights free of unproductive judgment from others. Consider that speaking to one who knows it all can be intimidating whereas speaking to one who admit and acts like they don’t know it all, allows us to share more freely. Therefore, to grow a forestation of light means to not just have knowledge but wisdom as well. We must know intellectually but also intuitively that a thing is true, which is best done by acting on truths we’ve distilled from experience. And in the process of acting these things out we unveil and display them for others, we radiate our clandestine light to all. “The messages refine.” – The term refine refers to the act of removing unwanted impurities or to improve by making small yet cumulative changes. Here, the things being refined are messages, which is suggestive of communication. Consider that in order for our inner light to be seen, it must be expressed, it must be communicated as a message. This message may not be words but, instead anything that is an expression of an idea, consciousness or identity could be thought of as a communication. When someone is upset, can we not see this in them? When someone is happy, do we not take notice? It seems that part of being an embodiment of consciousness is having the ability to express our internal state of being as an external behavior, as a physical message. These messages, in this sense, are emotional and intellectual. Therefore, if messages refine, this suggests that the outward behavior of each individual embodiment is becoming more perfect, more expressive of an internal state and more in harmony with the all. And as we discussed above, when we share ourselves fully with others, we participate in the supreme goals and plans of creation, which is to evolve and grow into unique living manifestations of the creator. “Gaia purpose is restored.” – Again purpose is that high ideal we make contact with that helps us understand our experience while also guiding us towards our destiny in life. Purpose is that metaphysical thing which aligns all aspects of our beingness into a singular and all-encompassing way of being. Without purpose, we drift from one experience to the next, gaining little understanding, and feel unmotivated. Gaia’s purpose—like creature purpose—is that all-encompassing motivation that merges the seemingly disconnected to everything else. Gaia’s purpose, for the creature, is like mother’s milk, nurturing and feeding that spiritual appetite latent within each of us. Her purpose, deduced by a contemplation of history, life, and mysticism, seems to be one of yearning to be perfect. If the creature yearns to be the master of their own house (sovereign) and truly free, then Gaia seeks the same, but in own her unique way. And if this purpose is restored, it suggests that at one time it was not actively being worked on or carried out. But now that it has been restored the fruit of her purpose will become clearer to us as time goes on. Consider that a leader is one who knows the purpose of things so well, they can help others co-create or participate in the purposeful actions of the many. In this way, Gaia is the ultimate leader for all those individuals living on and in her. And now that she has reclaimed her purpose, all of life will be infused and uplifted so as to participate with her in the unfolding plans of creation. Gaia is the conductor, and we are her orchestra, but like all good musicians, we must practice our craft so that when the day of performance comes, we create a blissful verse with our collective movements. When British Prime Minister, Edward Heath proposed the Common Market referendum in 1975(which became the EU) Brits didn’t really know what would become of it. The people were under the impression that this would help improve trading with other countries, but instead over forty years later we’ve seen this monstrosity sink it’s tentacles into 28 countries. The most recent member being Croatia with its accession in 2013. Since the EU’s inception in 1958 it has slowly forced many other countries into joining. Slowly the Common Market morphed into a greedy machine called the EU that used policies to amass more and more power over member nations. EU leadership consisted of individuals who had close ties to the Central Banks and special interests. Eventually the EU forced the introduction of the Euro for its member states. Of the 28 members of the EU, 19 of them used the Euro as their official currency and these nations form what is called the Eurozone. Other nations are obliged(forced) when they reach certain ‘criteria’ to adopt the Euro as well. With the recent vote by the British people to leave the EU, it appears that the Brits are the first ones to lay siege on the EU. According to Benjamin Fulford the EU is broke and this could be the first domino to fall that could lead to the dissolution of the European Union. Benjamin Fulford compared this latest development in Britain with Poland’s departure from the Soviet Union which led to the collapse of the Warsaw Pact. Ron Paul believes that the British people have taken a step in regaining their sovereignty. The British people will have more of a say in the direction they wish to see their country go, instead of having some foreign council decide for them. They’ve become masters of their own destiny once again. With the advent of the Brexit we are seeing many nations considering the same move. Here’s a recent poll that was conducted in many of the EU member nations on whether they favored or disfavored the European Union. The graph above shows that many nations are split in regards to their opinion of the EU. If we go by the numbers presented in this poll we could see the nations of Greece, France, Spain and possibly Germany consider leaving the EU. Nigel Farage stated that the Netherlands might be the next country to jump ship. He stated, “We may well be close, perhaps, to a Nexit.” According to the above poll, that could be a possibility. Which country will be next, only time will tell. One thing is clear though, the oligarchs are in panic mode. Everywhere we see them being assaulted and what little power they still have is starting to slip from their grips faster and faster. Former Federal Reserve Chairman Alan Greenspan called the U.K. Brexit a ‘Terrible Mistake’. Which is true, but not for the 99%, only the 1% who have special interests. This supports the possibility that the Financial Reset is imminent. This is a great victory for not only the British people, but the people of the world. No longer will we allow Central Banks to run our lives. This sends a message to the world that we are sick and tired of business as usual. The time of empty promises has passed and beginning of real authentic change has begun. These Elites have no right to use us as cannon fodder or slaves. We are divine sovereign beings of light whom shall be free from their evil clutches. We the People will be victorious and given the tools to create a society that truly is worthy for us and future generations. 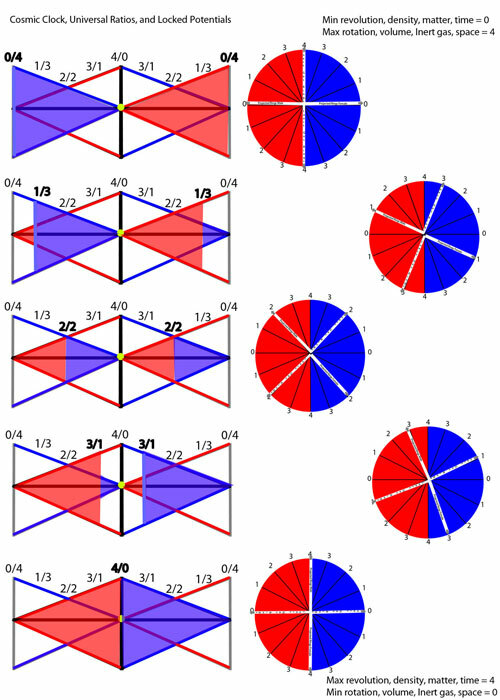 I wanted to use this article as an introduction to ‘The Optical Universe’. A Nature based Science and Philosophy to help explain the Universe and everything in it. This work is inspired by the likes of Nikola Tesla, Viktor Schauberger, and especially Walter and Lao Russell. So I will begin by sharing a description of how I feel this all works and how this can help mold the world into a better place. There is really one law in the Universe and that is balance. All other things come from balance. The Universe doesn’t allow anything other than balance to be replicated. Balance is based on the Love principle of giving and re-giving. The principles of rhythm, vibration, time, motion, color, sound, etc… are all based on balance. We live our everyday reality in a motion based Universe but truly reside in the stillness of Mind. Mind is what I would call our true selves, higher self, and ultimately ‘God’ or ‘Source’. Even though there is a piece that we experience and call ‘I’ seemingly separate from the whole, in the true reality of it all, we are part of the whole. We are the whole. We are connected to everything and everyone. The structure of this Universe is based on the shapes of the cube and the sphere. All other shapes including the platonic solids are in different phases of the process of becoming a cube or sphere. The different stages of the sphere and cube interaction are shown all throughout nature. Cubes are made up of planes and points of stillness (equilibrium / undivided white Light). Cubes bind matter (wound up light), with the sphere being the matter itself. The interactions of all things in motion are recorded in what some call the Akashic records, or the inert/noble gases. 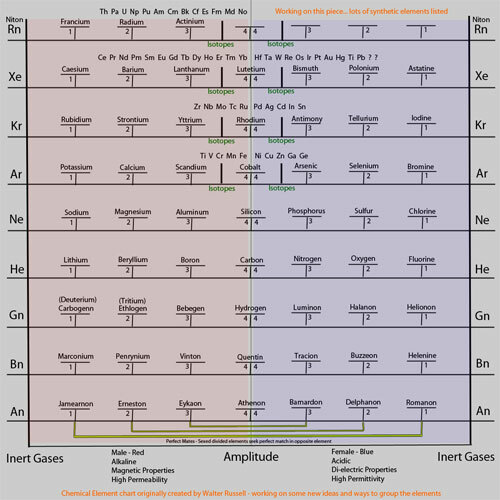 These are the chemical elements that link God’s still Universe to our motion and sensed based reality. They are the seed record of all that has happened and will record all that comes. This can be likened to a microfilm or film strip. From this seed springs the image of what has been recorded to be projected onto God’s movie screens of space. Thought rings or wound up light are compressed and expanded at differing speeds and cycles to create this illusion we call reality. The cycle of these interactions are called waves. Waves are all around us interacting and interfering with each other all working together to create this eternal movie. 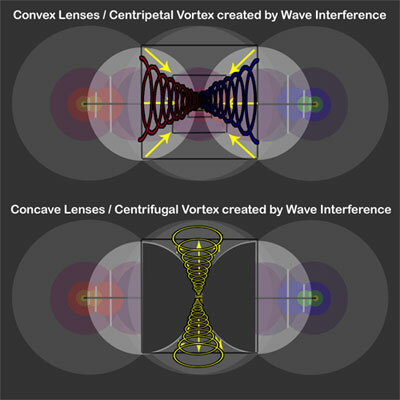 What we see and measure such as magnetism, gravity, our senses, etc… can be explained by the vortex motions, wave interferences and cube sphere cycles. All of them happening within each other, around each other, and from each other. Everything is intertwined and connected. What you do to yourself, you do to others and vice versa. This is a magical dance of light movements and pulsations creating this cosmic kaleidoscope of motion we call life, but our true selves reside in the knowing stillness of the Light we call God / Source / Creator. During these cycles from cathode beginning to wave amplitude or anode, there are steps or pressure walls that hold the wave in place, until there is enough ‘energy’ or desire to move closer to amplitude. Moving closer means to compress and to raise electrical potential. Amplitude means that 2 waves have come together in harmony. This is the balanced position that we see in our Sun or in the element Carbon. These are called the ‘locked potentials’. From here we begin our journey from our knowing Mind through our moving senses to learn the true nature of things. We can give ourselves permission to no longer fear, worry, hate, or feel these unnatural vibrations. For they do not exist in the equilibrium or stillness. Only Love… This Universe is built on Love and all other unbalanced ‘things’ are created by man or man’s unbalance. We have the ‘free will’ to do as we please, but this is a giving re-giving Universe, so it is in our best interest to be aware of our thoughts and actions to aid us in manifesting the best possible experience. I find that this Optical Universe of moving lights and the Stillness from which it springs, can help correct the faulty foundation and errors in today’s scientific thinking. I am just a layman using this understanding to help explain things like cosmic background radiation, LENR technology, fusion/fission, radioactivity, electricity/magnetism, and more. Each time I find the answers are there we just need to look at it from Nature’s point of view. Thank you for reading and joining me on this journey of new understanding. Together we can change the world.